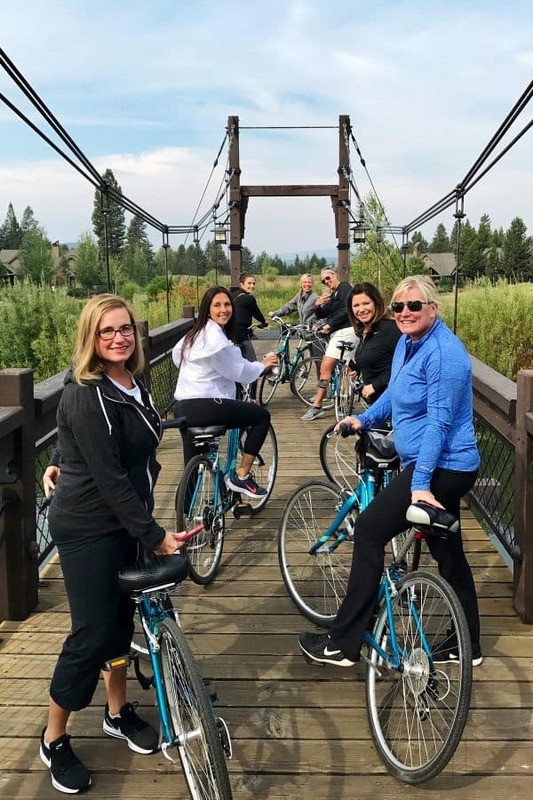 I recently spent A Weekend at Sunriver Resort in Oregon – and you’ll quickly see why I want to go back! I have kayaked more this summer than any other. When staying at my parents’ home in South Dakota for nearly a week in August, Mom and I would go out most evenings to catch the sunsets on Lake Kampeska. A couple of those evenings were especially magnificent, with vibrant pinks, purples, and blues painted across the western sky. 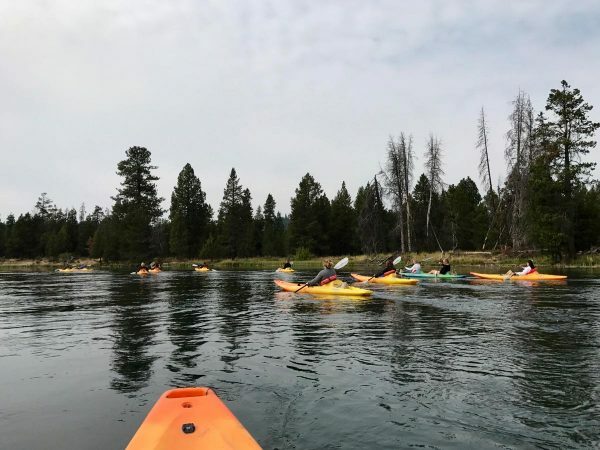 And my latest kayaking experience had me paddling on the Deschutes River, near Bend, Oregon, this time with a group of blogging friends. 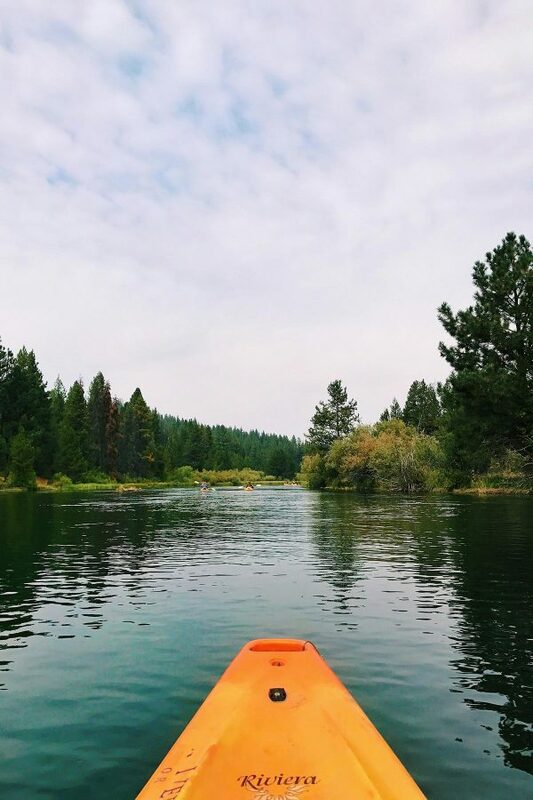 This peaceful time out on the water marked a few of my favorite hours from A Weekend at Sunriver Resort in Oregon. 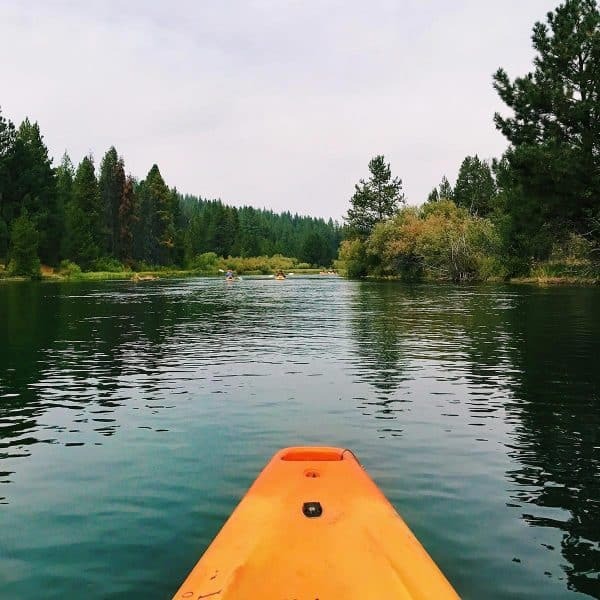 * In this post, I am sharing about my recent stay at Sunriver Resort, near Bend, Oregon. 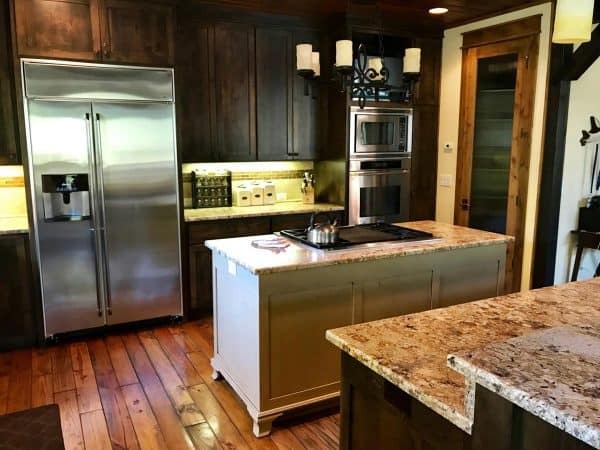 While there, I was a guest of Sunriver Resort, who provided our group with a beautiful home in Caldera Springs, plus meals and activities at the resort. I have visited Oregon only two times in my life, and each time I was invited by Sandy, one of my earliest blogging friends. The first trip was to her home in Medford. 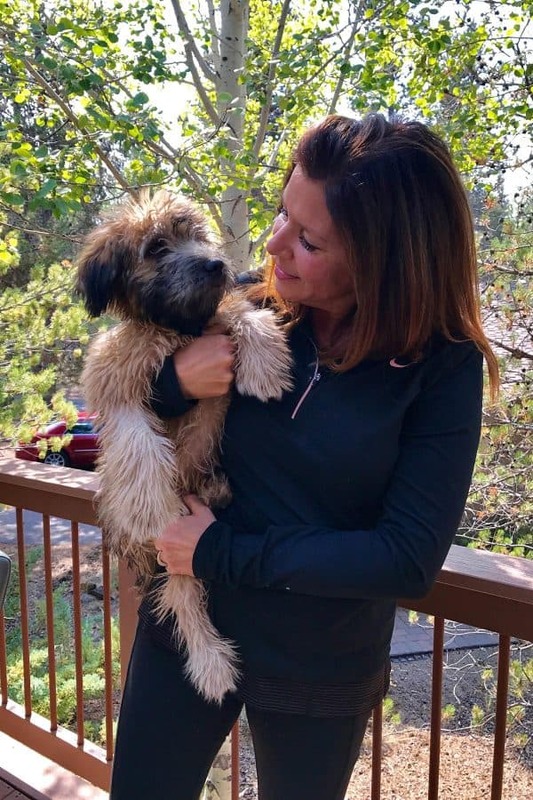 Since then, her family sold their home, simplified life, and moved northeast to Sunriver, an outdoor enthusiast’s dream. 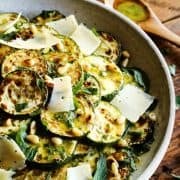 I arrived to this food blogging party more than fashionably late, thanks to an airline snafu that left me at home in Minnesota for an extra 24 hours. So I missed out on Sandy’s hospitality that first evening, where she welcomed our group into her home for dinner. But while I was at Sunriver, Sandy drove Mary (who also missed this dinner) and me over to their home, so we could see where they lived. And meet their new puppy Alder, of course! 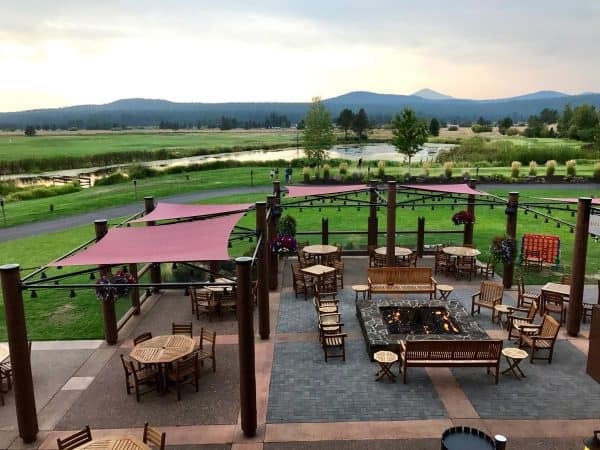 Set in the foothills of the Cascade Mountains, Sunriver Resort is a unique vacation destination in a serene, natural setting. 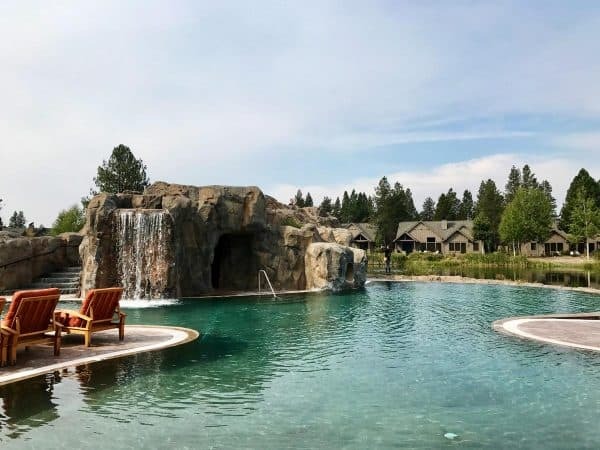 Sunriver Resort is a part of the Destination Hotels & Resorts collection and offers a variety of luxury homes and cabins ideal for both families and groups. 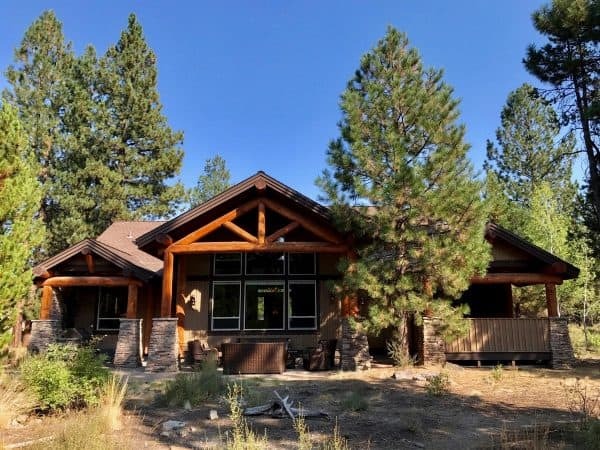 We stayed in the home above, located in Caldera Springs, a gated residential community adjacent to the Sunriver Resort property. This spacious home was beautiful inside and out, with more than ample space for the twelve of us. We spent every moment possible in the outdoors, mostly on the back patio. Furnished with comfortable seating, this private space under the fragrant pines was meant for relaxation. 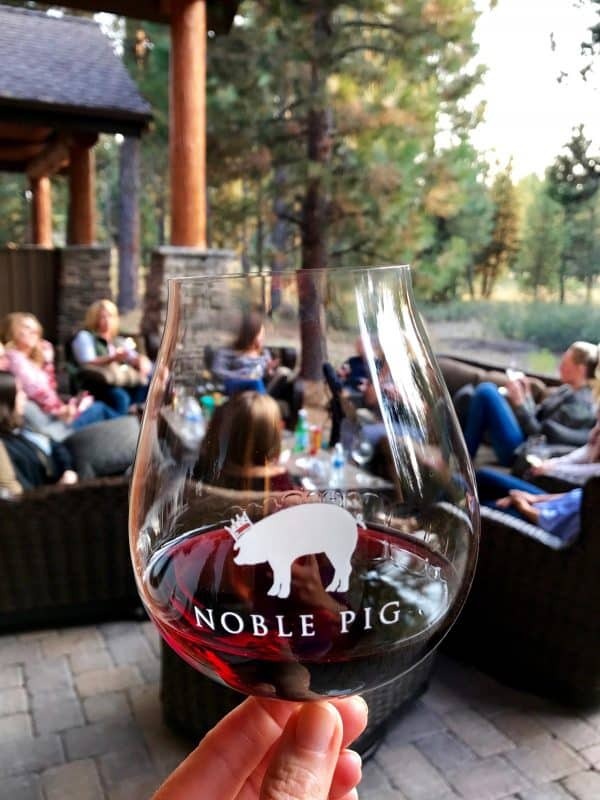 It was here that I was finally able to enjoy my first glass of Noble Pig wine, from Cathy’s own vineyard and winery in Oregon. And can I just say how very lovely it is. If you can get your hands on the Pinot Noir or the super lovely Pinot Gris, do not miss out on the opportunity. Our fantastic group, left to right: Cathy, me, Cheryl, Lori, Amanda, Maria, Gina, Heidi, Sandy, Erin, Kristen, and Mary. Our home-away-from-home in Caldera Springs was drop-dead gorgeous, with quality furnishings in each and every room. I especially liked the wood flooring, how it looked and how it felt underfoot. The kitchen set-up was spacious and included everything we could possibly need. Fresh flowers add so much beauty to everyday life and to special gatherings such as this. 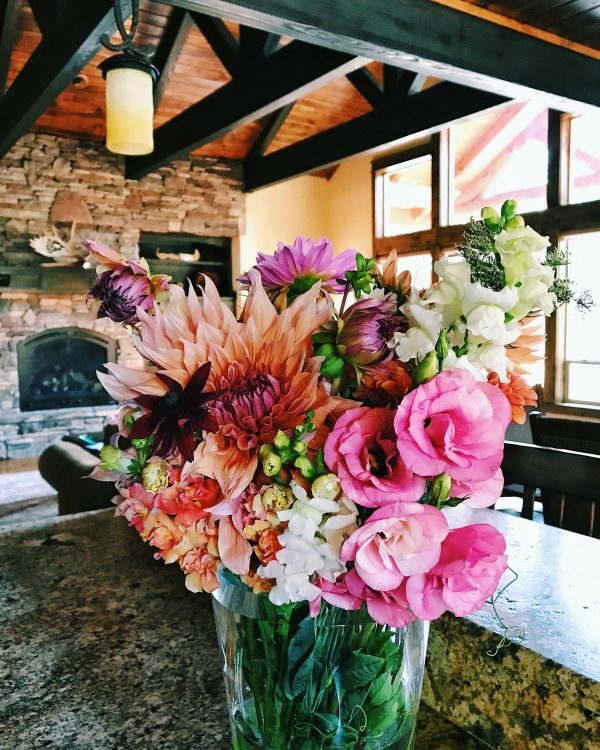 Whole Foods in Bend, Oregon provided the local farm flowers for our weekend, enough blooms for several different arrangements throughout the house. Whole Foods, the local food sponsor for our time together, also treated us to breakfast, lunch, snacks, and other goodies. 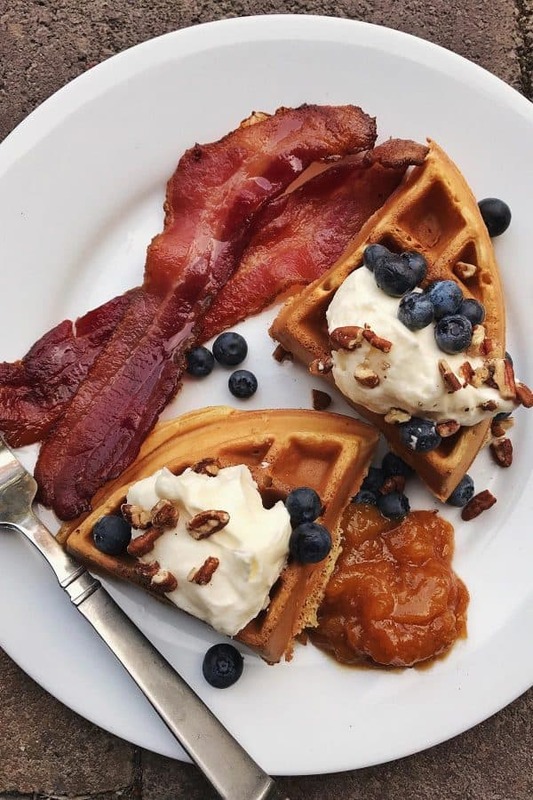 One morning, they offered a waffle bar with all the fixings one could desire. I went back for a third helping of that delicious fresh Oregon peach compote. So. Good. !!!! 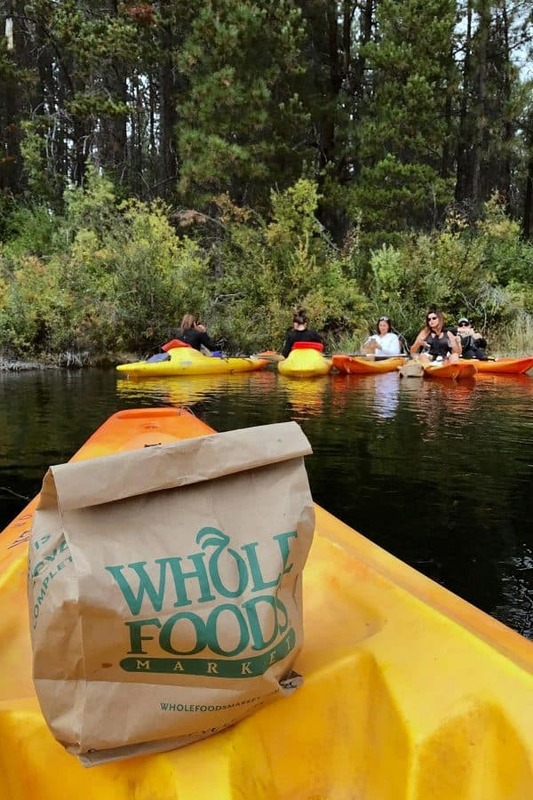 Did you know that you can now buy Whole Foods’ (affiliate link) 365 products through Amazon if you don’t live near one of their stores? Storyville Coffee, a privately owned coffee company based out of Seattle, made a special trip to make us French press coffee. 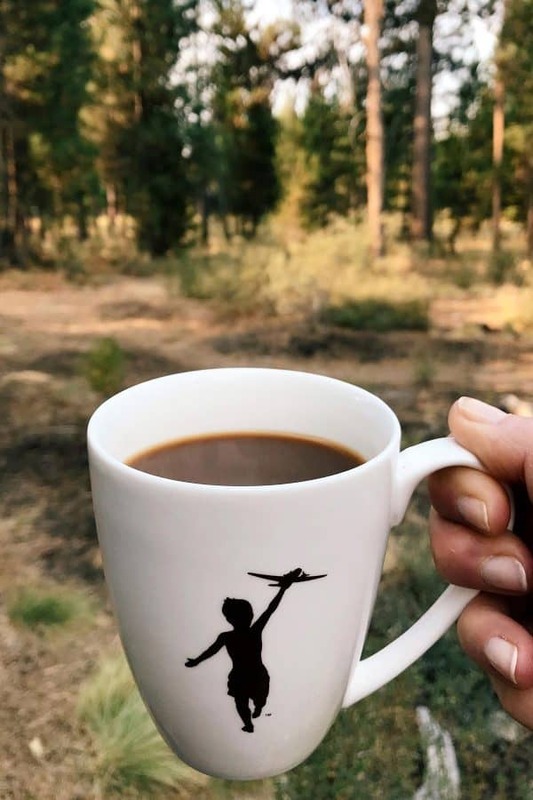 I remember visiting Storyville at their Pike Place location a few summers ago, a recommendation from Sandy, and was eager to enjoy a few more cups in Sunriver. We also learned about Storyville’s mission to end human trafficking. With regular coffee delivery subscriptions, where the beans are shipped the same day they are roasted, coffee lovers are helping to free those involved in human trafficking. This is amazing coffee, supporting a significant cause. During this trip, I was introduced to Birdseed Food Co, a local Bend granola created by Sandy’s friend Ashley. 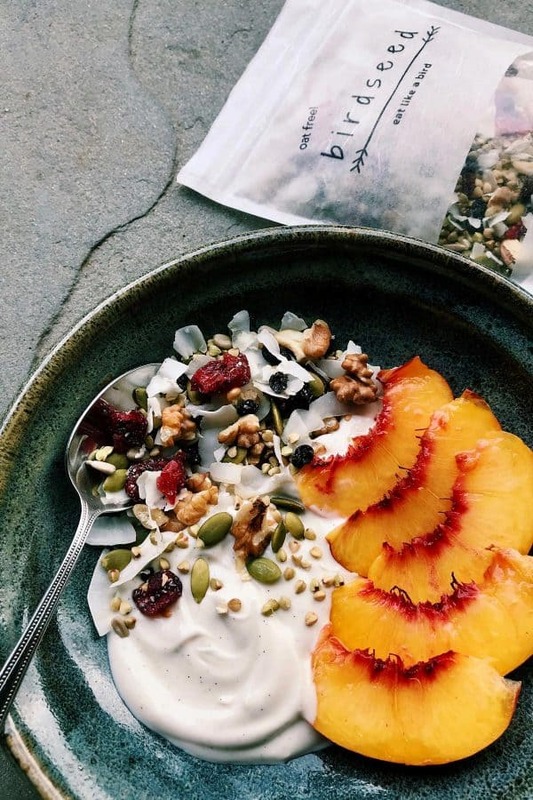 This gluten-free granola is packed with so many good things, and is a wonderful way to enjoy a bowl of yogurt with fresh fruit. 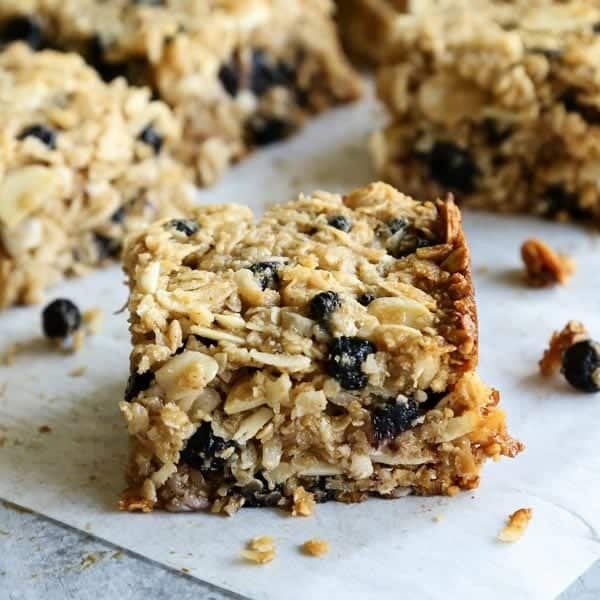 Tell your celiac friends about Ashley’s granola – and order online using the code LIVEWELL for 25% off. The first evening I was there, Sunriver Resort’s Executive Chef Travis Taylor prepared an incredible dinner for us at the house. 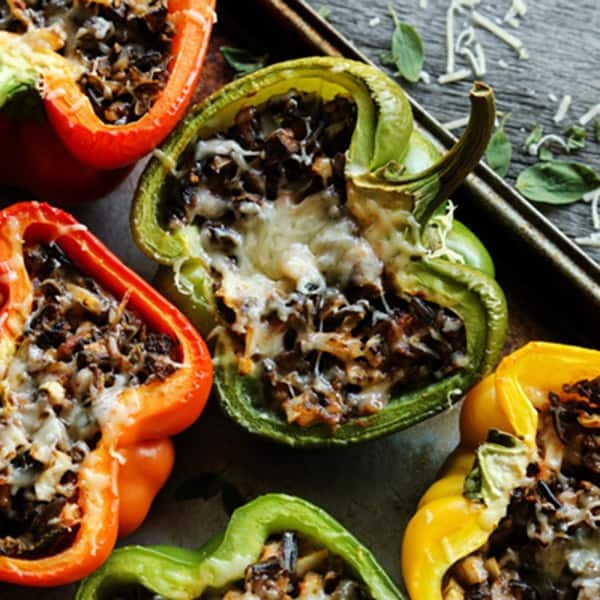 I have no idea how he brought it all together in such relaxed fashion, with scrumptious results from Appetizers to First Course to Second Course to Third Course to Dessert (yes, we spent quite a bit of time eating that night! ), but every single dish of each course was wonderful. 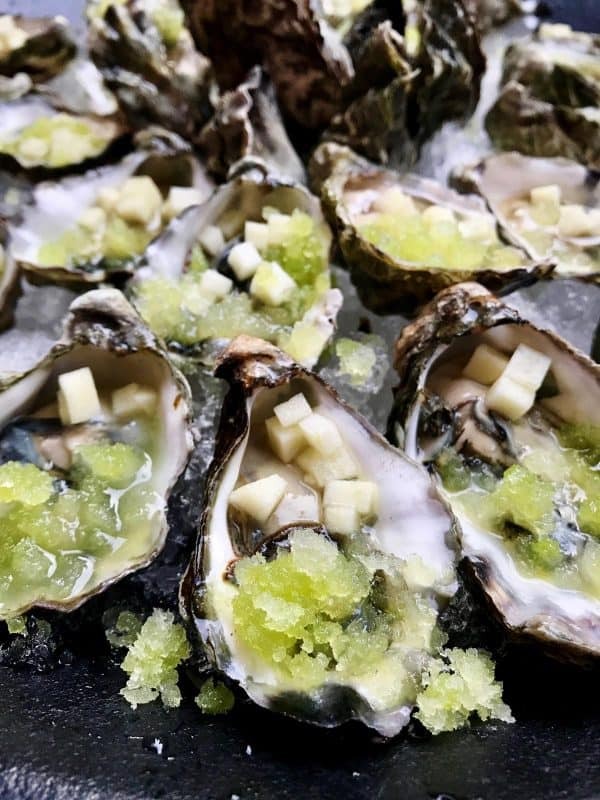 If I had to pick the one thing that left me craving a few more bites back home in Minnesota, it would be the appetizer of Kumomoto oysters with pickled green apple, lime, and cucumber granita. The presentation was striking, the oysters fabulously icy-chilled, and the textures and flavors popped in your mouth. This oyster platter was perfection. PERFECTION! Guests staying at Caldera Springs have access to many amenities. 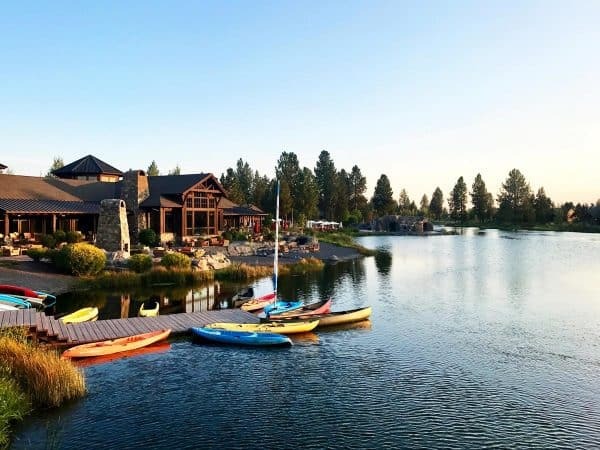 This sprawling 400-acre property has a community gathering house, 9-hole family-friendly golf course (plus Sunriver Resort’s three 18-hole championship courses next door), pool and fitness center, children’s playground, acres of lakes for canoeing and kayaking, and over nine miles of walking and biking trails. I highly recommend getting around Caldera Springs by bike! The Lake House is an inviting family-friendly place to hang out, offering coffee, tea, and hot cocoa. 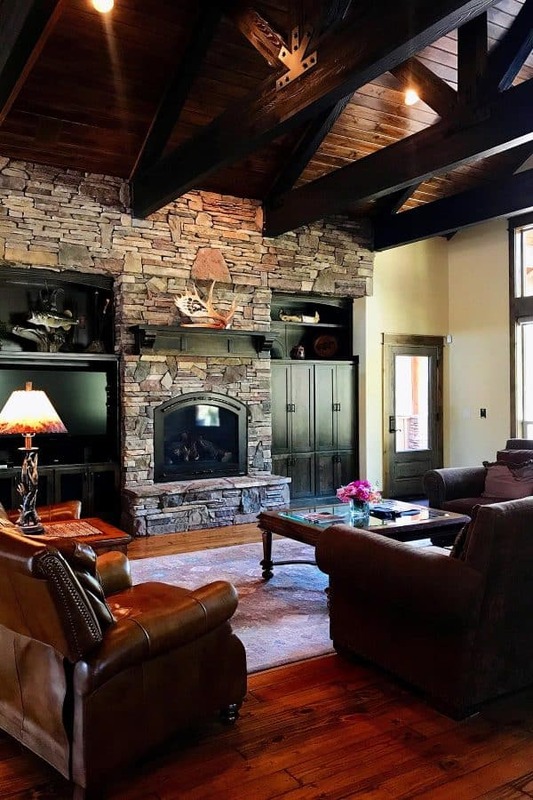 Their family room features a billiards table, shuffle board, and other family games, plus a cozy space to simply put up your feet and enjoy a book. If my family had been with me, they would have insisted we spend time every single day at the Quarry Pool at Caldera Springs. When it comes to defining vacation for my husband and daughters, the word POOL is always top priority. And they would have been in heaven here. The infinity edge pool sported a beach-style entry, a water slide, and built-in water guns – and comfortable padded loungers were everywhere, for soaking up some sun. Our final afternoon together was spent on the Deschutes. This was one beautiful river, with water in some areas a dreamy color somewhere between turquoise and emerald. Our oldest daughter’s eyes lit up back in Minnesota when I shared about my purple Hydro Flask via my Instagram story. 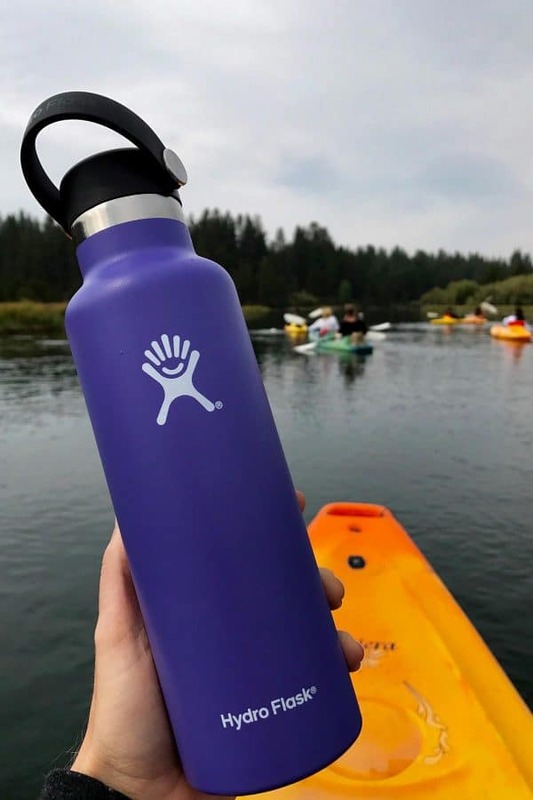 This popular insulated bottle is another product that is proud to call Bend home. 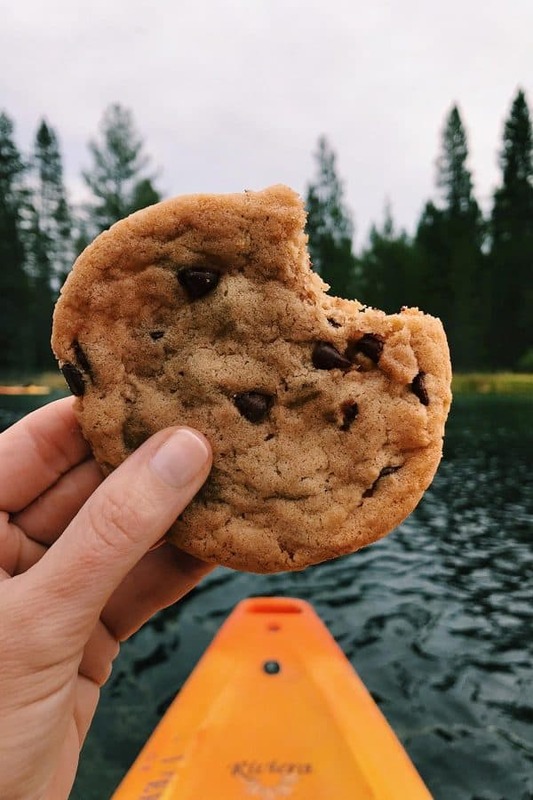 …and a chewy, delicious chocolate chip cookie! Then we fancied up a bit and headed over to Carson’s American Kitchen for dinner at the Sunriver Resort Main Lodge. The outdoor gathering space offered spectacular views, looking out over the Sun River and Meadows Golf Course, with Mt. Bachelor in the distance. 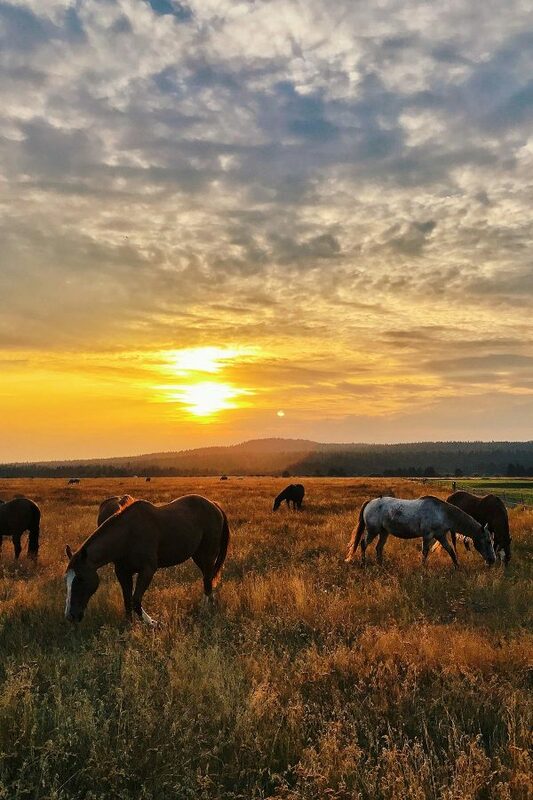 Like a magnet, I was drawn to the horses grazing nearby, from Sunriver Stables. Our youngest daughter is an animal lover through and through, and has been taking riding lessons for a few years. She has taught me how to see into her heart, to feel her love for these beautiful creatures. I just had to pay them a visit. This moment will always be a highlight from this weekend in Oregon, a magical way to close my time at Sunriver Resort. 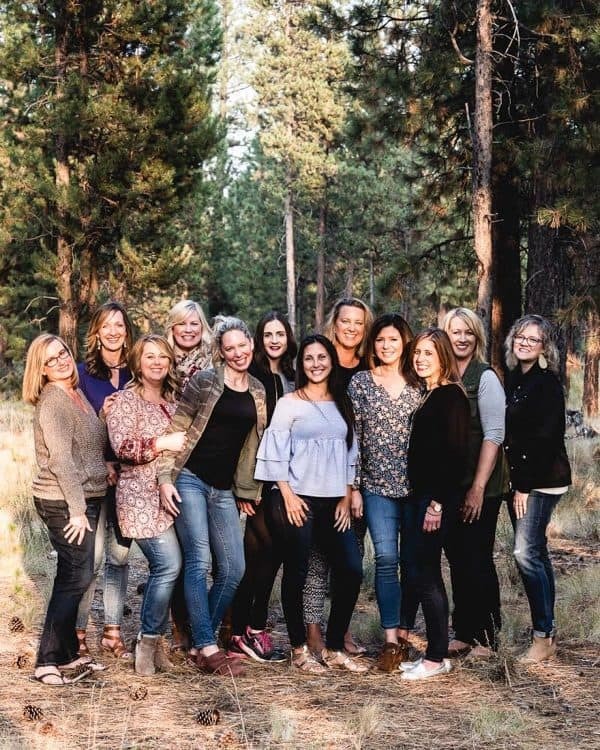 Thank you so much to Sunriver Resort, who introduced me to this special area of our country and provided our group with a beautiful home in Caldera Springs, plus meals and activities at the resort. I was not compensated to write this post. All opinions are my own. 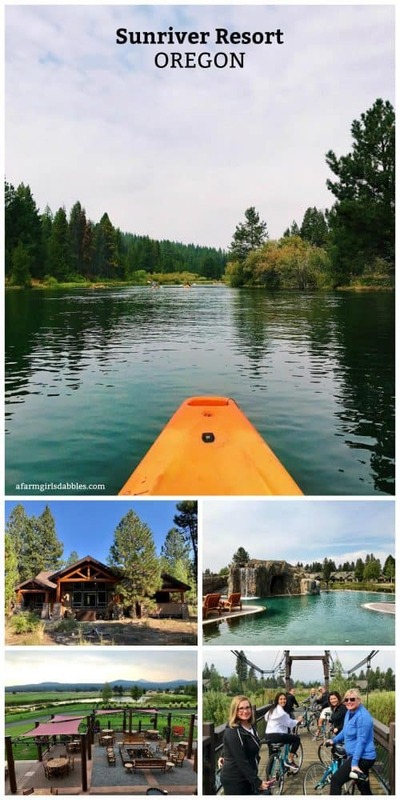 So glad you had fun in Sunriver and experienced Central Oregon! 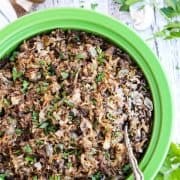 I live in Bend, and I’ve been reading your blog for awhile, and it was a great surprise to see you post about my area! Ok so I just relived every moment and want to go back….now! Such a great weekend together. 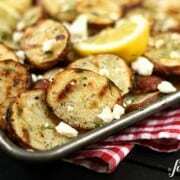 hey girl- great post! love the pics! So cool! Ya’ll have a great weekend! This trip looks so awesome!! love the photos!! Such a special weekend! I want to go back and relive every minute. This was such a relaxing weekend and I loved getting to spend time with you! I’d sure love to spend another afternoon on that beautiful river.